I went up Col du Tourmalet yesterday to make some photos. Some of our guests from the cycling lodge were up there and I had hoped to see them and get a few shots. I only took the one photo, which is below before I came across Rob from England who had a mechanical. It was lucky for him as he was stranded 4km from the top in the cold wind. 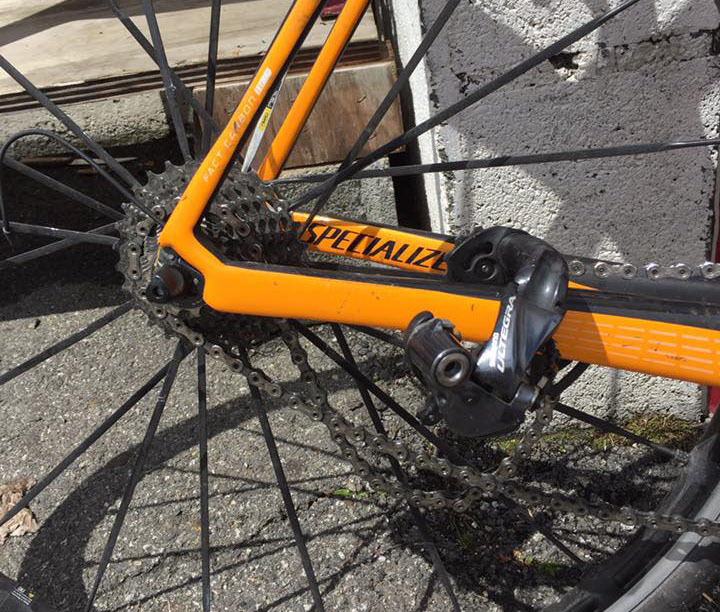 His derailleur hanger had snapped. We packed the bike into the car and headed home. Will go again later in the week. Col du Tourmalet, 7km from the summit on 15th May.